The Youview catch-up TV platform that lets viewers look backwards 7 days as well as forwards from the TV guide is adding more channels. The UKTV network which is owned by BBC Worldwide and Scripps Networks Interactive, has added the factual and lifestyle channels Yesterday and Really. The Yesterday channel shows historical and factual shows, while the Really channel broadcasts female focused lifestyle content. The new additions come soon after entertainment TV channel Dave was last year. 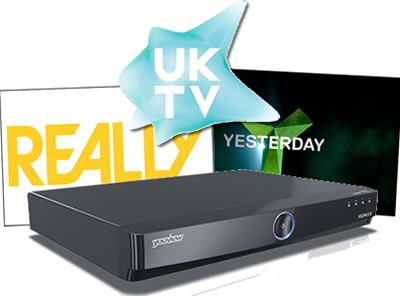 The YouView set-top box which launched in 2012 lets viewers scroll back using the EPG and then runs supported channels catch-up services just like standard TV channels.